Who says the car is dead? 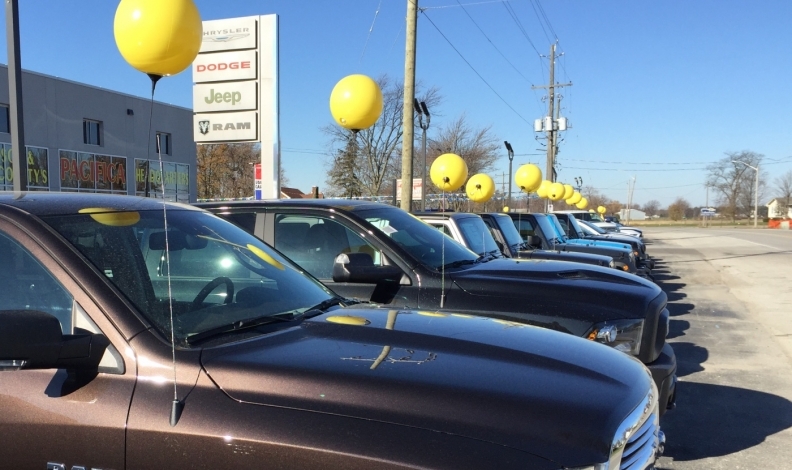 While Canadian new-vehicle sales in May were down just 0.6 per cent to 215,942, according to the Automotive News Data Center in Detroit, some of the longtime staples in the car segment more than held their own as consumers continue to shift toward trucks. The Ford Fusion, Toyota Camry, Honda Civic and Dodge Challenger all posted significant sales increases while Ford’s F series and the Ram pickup had solid months, too, in the truck segment. Total new-vehicle sales through five months of 2018 are essentially on par with the same timeframe last year. So far this year, automakers have sold 839,183 vehicles compared with 837,706 a year ago, good for a 0.2 per cent increase. FCA Canada saw its sales drop 15 per cent in May with only the Jeep and Alfa Romeo brands posting gains. Jeep sales were up 8.3 per cent, due in large part to sales of the redesigned Compass, which saw sales increase 47 per cent to 1,594 units. Wrangler sales were up 25 per cent to 1,772 units and the automaker sold 2,042 Cherokees, with its prices discounted up to 15 per cent in May. Cherokee sales ended the month up 73 per cent. Alfa Romeo sales totalled 152 units, up 123.5 per cent. But Chrysler, Dodge, and Ram all saw sales decline 14.3, 30 and 16.1 per cent, respectively. Challenger sales surged 26 per cent to 407 units as the last Demon rolled off the line in May. Ram pickup sales totalled 12,440 units, but were down 17 per cent. Ford Canada’s sales fell 3.1 per cent overall, but the sales of the high-margin F series were the best on record for the month of May, while the Ford F series Super Duty saw best-ever sales for the second consecutive month. Ford sold 16,039 F series trucks, up five per cent over May 2016. Ford Focus sales were up seven per cent with 1,202 units sold, including a 172 per cent in the number of Ford Fusion Hybrid sold — although the automaker didn’t say how many units it sold. Toyota Canada’s total sales were up 0.9 per cent in May, stifled by slumping sales of its Lexus luxury brand. It was some of the automaker’s flagship vehicles that kept it from posting a loss when compared with the same month last year. Lexus sales were off 8.3 per cent but Toyota brand sales were up 1.9 per cent. Camry sales surged 26.9 per cent to 1,610 units while Prius sales were up 115 per cent to 688 units. Yaris sales wee up 25.7 per cent to 886 vehicles. Corolla sales slipped 7.1 per cent to 5,687 cars. Overall, truck sales were flat. However, Toyota sold 5,525 RAV4s, the automaker’s most popular vehicle through the first five months of the year — an increase of 3.2 per cent. Nissan Canada sales inched up 1.7 per cent in May, mainly due to Leaf and Qashqai sales. While sales of the flagship Rogue were still strong from the automaker’s standpoint, they were down 0.6 per cent to 4,145 units. But Nissan sold 906 Leafs (up 642.6 per cent) and 1,908 Qasqais (up 899 per cent). The popular Pathfinder and Murano were down 41 and 13.9 per cent in the truck segment. Meanwhile, luxury brand Infinit saw sales sink 15.6 per cent. The Hyundai brand slipped 8.9 per cent in May when compared to the same month last year. And it’s year-to-date sales remained down 11.6 per cent at 47,745 vehicles. Meanwhile, Kia sales were also down in May, dropping 3.5 per cent. Honda Canada Inc. posted record May sales with 21,698 units sold. The Honda brand set its own record with 19,794 units sold. The CR-V alone had its best May with 5,675 units sold. The popular Civic remained the automaker’s top car with 8,974 sold, an increase of 4.2 per cent over last year. However, Accord sales fell 12.7 per cent to 1,352 units.